Made his debut with Halcones de Xalapa (Mexico) during the 2005-06 season. Moved to Venezuel in May'09, signed by Marinos de Anzoategui. Moved to Spain for the 2009-10 season, signed by CB Illescas Urban, LEB Silver. In November'09 signed by Tenerife Rural, LEB Gold. Signed for the remainder of the season by New Orleans Hornets. Signed for the 2012-13 season by Orlando Magic. In February'13 signed by Milwaukee Bucks. Named the 2015-16 EuroLeague December MVP. Named the 2014-15 EuroLeague Playoffs Game 1 MVP. Named the 2015-16 EuroLeague Regular Season Round 9 and Top 16 Round 7 MVP. Named the 2016-17 EuroLeague Playoffs Game 3 MVP. Named the 2018-19 EuroLeague Regular Season Round 5 and 11 MVP. Led the 2016-17 EuroLeague in 2 points shooting percentage (69.9%). 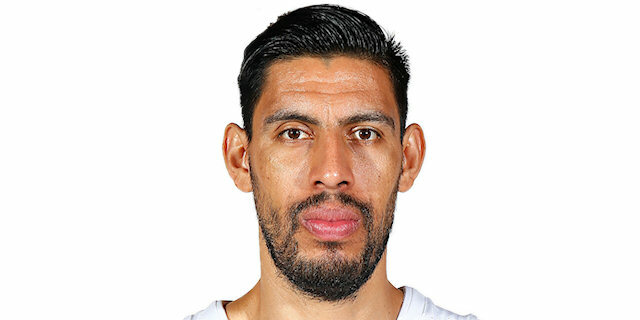 Member of the Mexican National Team. Won the gold medal at the 2013 Americas Championship. Won the gold medal at the 2014 Centrobasket. Played at the 2007, 2009 and 2015 Americas Championships. Played at the 2008, 2010 and 2012 Centrobasket. Won the 2007 Central American Championship with Halcones de Xalapa. Won the 2007-08 and 2008-09 Mexican LNBP with Halcones de Xalapa. Won the 2009 Venezuelan LBP with Marinos de Anzoategui. Won the 2014-15, 2015-16 and 2017-18 Spanish National Championship with Real Madrid CF. Played the 2009 Mexican All Star Game.